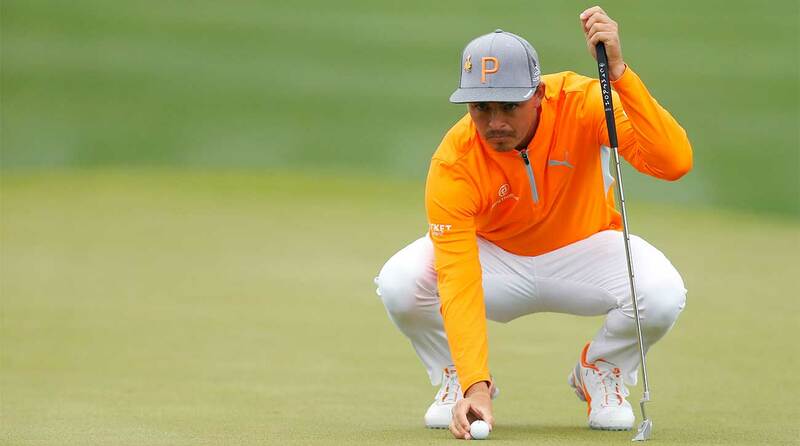 Rickie Fowler regrouped after surrendering a five-shot lead on the back nine to win the Waste Management Phoenix Open by two strokes on Sunday (Feb 3). The 30-year-old made a bizarre triple-bogey in driving rain at the par-four 11th hole and later found himself a shot behind Branden Grace with five holes remaining at TPC Scottsdale in Arizona. But with another sickening defeat staring him in the face in a long list of final-round chokes, the American regained his poise, and his reputation, with two birdies down the stretch. "It wasn't fun," Fowler said after carding three-over 74, the highest final-round score by a winner at an event that dates back to 1932. He finished at 17-under 267, while South African Grace shot 69 for second place on 15 under after bogeying the 17th, where his drive found water. Fowler's face was etched with a mix of joy and relief upon clinching his fifth PGA Tour victory. "Other than two holes it was a pretty darn good round," said Fowler, who also double-bogeyed the fifth hole. "A couple of bad swings, a couple of bad breaks, you kind of have to roll with the punches and I think we did a good job of that today, putting things behind us. "No. 11 could have turned this tournament the complete opposite way." He was five shots in front after a birdie at the 10th, but a mix of poor decision-making, poor execution and bad luck cost him. Fowler's third shot, a pitch from 35 yards, skidded through the green, and rolled down a slope into a lake. He took a penalty stroke before walking up to the green to assess how he would execute what would have been his fifth shot. However, while he was doing so the ball rolled back into the water, and Fowler had to summon a rules official to ascertain his options. According to Rule 9-3 there was no penalty for the ball moving, but he had to play it from where it lay and had no option but to take another penalty stroke because it was at the bottom of the lake. He eventually sank a 15-footer and walked off the green not even sure what score he had recorded, but two hours later he had avoided going 1-for-7 when leading into the final round. "Finally we've got it done," Fowler said. "It wasn't easy out there today. I'm happy to get this one out of the way. It's been a long time coming to get the win here. "I played the last five holes pretty well."